In June 2018, Techrock set up offices in Japan after seeing China’s vast demand for high-quality Japanese goods. Since then, our expansion in Japan has seen leaps and bounds, with our partnership with Inagora being one of the largest developments yet. Now it is time for Techrock to take another major leap forward, in collaboration with Mitsubishi UFJ Financial Group (MUFG). We’re extremely proud to have been selected to join the prestigious Mitsubishi UFJ Financial Group’s Digital Innovation business accelerator. MUFG is one of the 10 largest banks globally*. Out of many applicants, MUFG chose Techrock as one of only eight companies to participate in its accelerator program. We will spend a rigorous four-month period with MUFG to go through the processes of ideation and productization of new products and services. Techrock is aiming to create a joint service with MUFG. The final product will be revealed to the local press and media companies on demo day, at which point a winner will be chosen by MUFG. 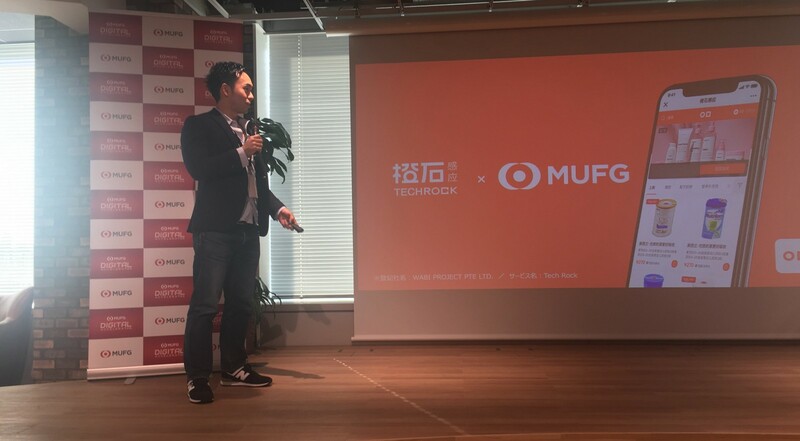 MUFG’s unrivaled business network allows Techrock to significantly increase its development speed and sales, while working with MUFG resources to further develop products for enterprises and consumers in Japan, China, and beyond.